An immaculate 4/5 bedroom, 4 1/2 bath villa completed in April 2003. 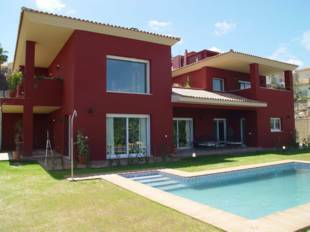 The villa is situated on the exclusive and prestigious Sotogrande estate, among villas of similar quality and standards on the south side close to the beach, port and Real Club de Golf. 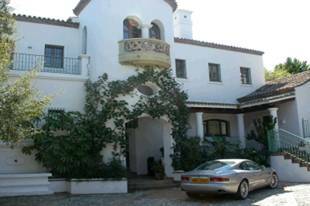 Fabulous 2 storey villa located in a mature quiet area of Sotogrande. Completely refurbished in 2001 by current owner. South facing, very mature private garden with pool and guest cottage. The main house offers on the ground floor: entrance hall, large spacious living-dining room opening onto covered terrace overlooking garden & pool. Very spacious modern kitchen with granite tops. 2 beds/1 bath. First floor; Master bedroom with spacious modern bathroom suite. Guesthouse with separate entrance, comprising bedroom, living room, kitchen and bathroom. Gas central heating – Part Air-conditioning. Price to include fixtures & fittings. New villa situated in a prestigious area of Sotogrande. The villa comprises of 4 bedrooms, 3 bathrooms, living room with fireplace, fitted kitchen to buyers choice, private swimming pool and easily maintained garden. Near to the golf and polo course. 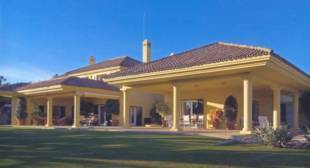 Excellent Villa inside a secured Urbanisation overlooking Valderrama Golf Course. 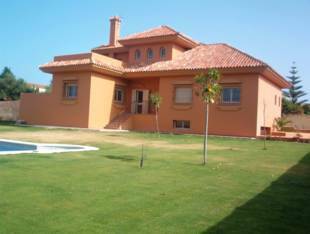 Close to the main Golf Courses of Sotogrande. This villa is built with high quality finishing. Furniture can be bought for 40.000€. Impressive cortijo style villa, located in Sotogrande Alto, near Valderrama Golf course .This south facing villa has 5 baths en-suite, 1 guest toilet, lovely lounge with open fireplace leading out a big porch, separate dining room with wood beamed ceiling and wood columns, fully fitted and equipped kitchen with breakfast area and laundry room. Also enjoys, central heating ceramic tiles flooring satellite TV and telephone points. A very nice tower room used as study. Extremely high quality carpentry in doors and windows. Private garage and storage. A good sized mature garden and swimming pool with solarium. A wonderful property only 5 minutes drive to Puerto Sotogrande with all its facilities and amenities.